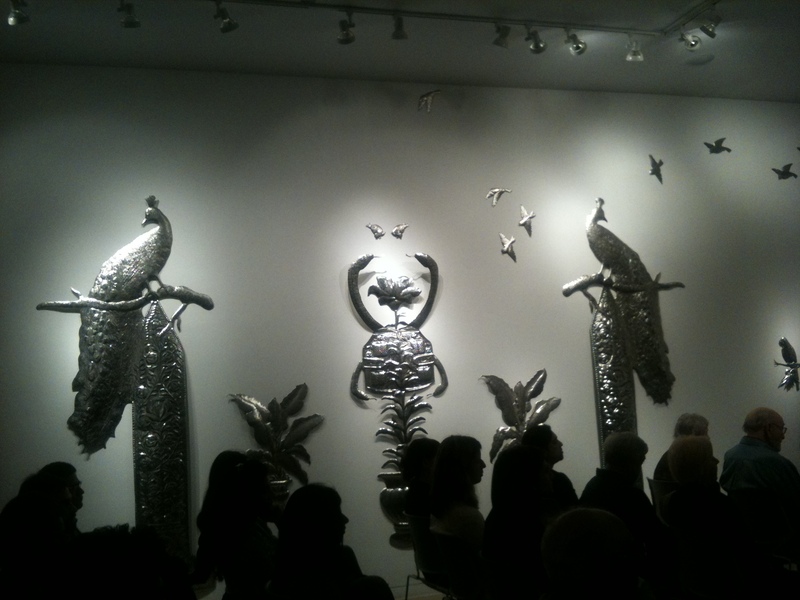 On Tuesday, I attended a really fascinating event at the Aicon Gallery in New York City. Entitled, “How to Talk About Pakistan,” the event centered on Granta magazine’s recent Pakistan issue and featured editor John Freeman, as well as Kiran Khalid (CNN producer), Mohsin Hamid (author of Moth Smoke and The Reluctant Fundamentalist), Lorraine Adams (journalist and author of The Room and the Chair), and Ayesha Nasir (journalist and filmmaker). The Pakistan issue truly epitomizes this goal, containing 18 featured pieces by renowned writers and journalists like Nadeem Aslam, Mohammed Hanif, Kamila Shamsie, Declan Walsh, Jane Perlez, and the aforementioned Hamid, Nasir, and Adams. A mix of memoirs, poems, fiction, and “reportage,” the publication strives to showcase the nuances and complexities of Pakistan, a country so often talked about but so rarely understood. Lorraine Adams, who co-wrote a piece with Ayesha Nasir on Faisal Shahzad, touched on the limits of journalism in her comments, emphasizing that most news agencies produce stories based on a “consensus narrative” decided on by the editors, not the journalists on the ground. Given that the original stories are far more contentious and nuanced than this narrative, a lot gets lost in translation. According to Adams, “People think that if they read non fiction or the news, they know a lot about the country than if they read fiction,” which is an untrue assumption. The debate over the benefits of fiction versus nonfiction is significant and deserves further discussion. From a personal standpoint, neither fiction nor nonfiction alone will give you a full picture of Pakistan. While nonfiction and news items can give you a snapshot of the current affairs of the country, fiction stories can provide further insight into the cultural nuances and intricacies of Pakistan. Even if you read the work of Pakistani writers, “old” and “new” alike, their treatment of issues and their prose can sometimes be windows into the Pakistani psyche and experience. At the same time, there are obvious biases involved in fiction work, while nonfiction pieces tend to be less emotional and relatively more objective (though not always, of course). Fiction writers like Daniyal Mueenuddin and Ali Sethi see literature as a project. They both have said in interviews that they see themselves as explaining Pakistan in all its complexity to the West, not merely as the “failed state” with budding terrorists in every bazaar. It may seem like a hefty burden for any writer to bear, but there is no doubt that Pakistan is a country in need of PR. Is there any wonder that nearly every one of these writers (dare I call them the Pak Pack?) are taking their advocacy role about the humanity of the floods’ victims seriously? Or that they rarely agree with one another? The discussion, as a whole, was fascinating and was further bolstered by the incredible exhibition in the gallery by Pakistani artist Adeela Suleman called, “After All It’s Always Somebody Else Who Dies,” (see above image). Granta’s Pakistan issue also includes fantastic artwork by contemporary Pakistani artists, an effort by the publication to go beyond their typical photo essays and showcase local talent. According to a review by The Independent, “Granta’s Pakistan is a bleak but mesmerizing one that rages with astounding horrors. Yet this ‘immense homeland of heartbreaking beauty’ is not without love, romance, nor hope.” The print edition can be purchased here. Eid Mubarak CHUP readers! 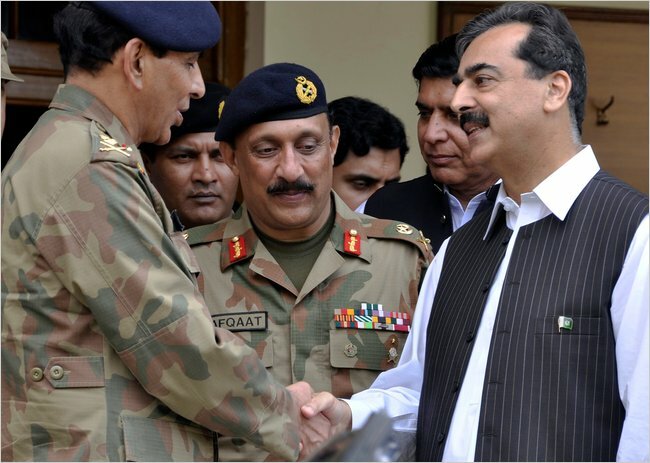 It is a very somber holiday this year, with millions suffering in Pakistan from the devastating floods. On this occasion, when many of us are with family, eating incredible meals and wearing new clothes, please remember the many families who aren’t as lucky. Therefore, in the spirit of Eid, please donate and continue to spread awareness about the disaster, (our campaign Relief4Pakistan, has raised nearly $133,000 by leveraging grassroots donations, but donate to whomever and wherever you feel the most comfortable, here’s my past list). Also, in positive news, many congratulations to Pakistani tennis player Aisam Qureshi who came in 2nd place in the U.S. Open finals with his Indian partner Rohan Bopanna. The two may not have won, but their slogan, “Stop War Start Tennis” truly inspired supporters on both sides of the Indo-Pak border. You both did us proud! Finally, a link to 30 Mosques in 30 Days, the journey undertaken by Bassam Tariq and Aman Ali to experience Ramadan in 30 mosques in 30 different states in America. A truly inspiring adventure, one that has garnered a lot of news attention and focused the spotlight on the wonderful diversity of the Muslim community in the United States, (Al Jazeera has a great piece on them here). I interviewed the pair last year, when they visited 30 mosques in New York City, and am so proud to see where they’ve taken their initiative this year.